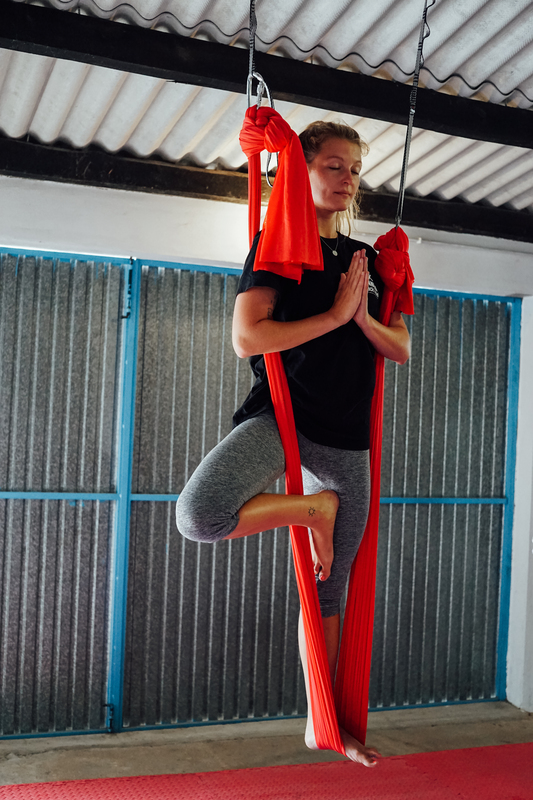 Namasté or "Fly with me"
Today I tried Aerial Yoga for the first time ever. 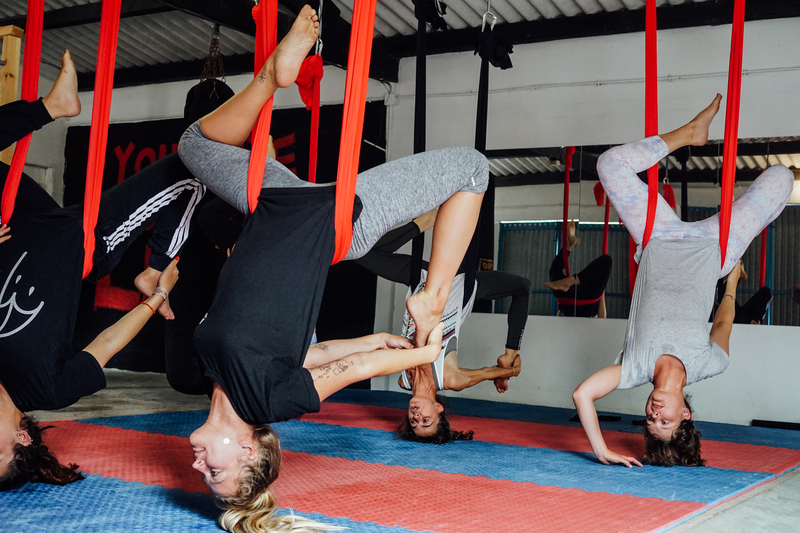 Of course I have heard about this trend/sports already and was amazed how beautiful this form of yoga combined with acrobatics can look on someone who is able to do that. 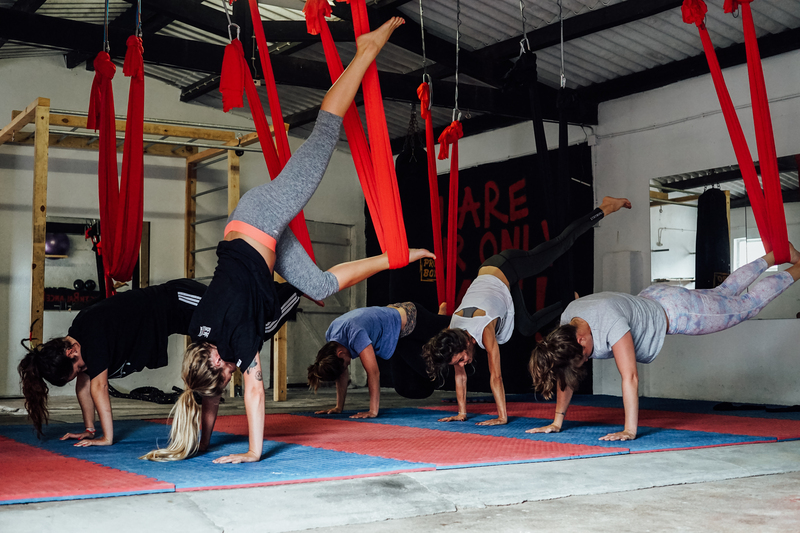 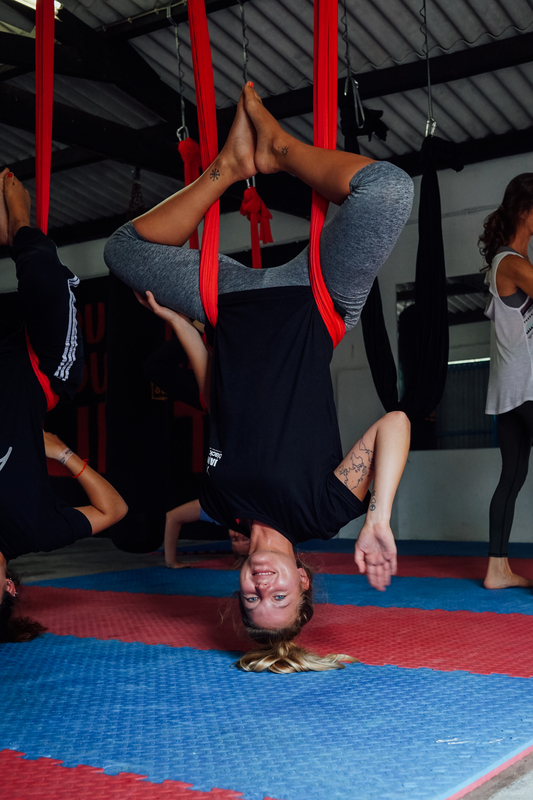 So our new Yoga teacher in my workplace, the Janga Surfcamp, offers also two Aerial Yoga classes every Sunday and Monday for every level.